Maria was born in the Dominican Republic, and found her ability to design at the age of six. went on to graduate with a degree in fashion design. 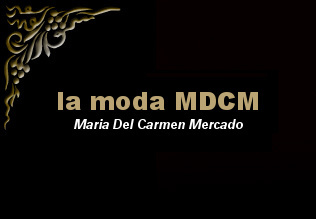 Following her graduation she created her own company under her name, Maria Del Carmen Mercado. Not only is Maria a Fashion designer, but she is also a Fiber Artist. Her adventurous outlook has helped her to branch out into other interests. These include her eye-catching collections of Scarves and Accessories. Maria also has years of experience in hand-dying fabrics for her lines of apparel and accessories. In addition, she is environmentally friendly by recycling left over materials into other design elements, such as wall hangings. Her Work has been featured in major galleries throughout Rhode Island. These include The Atrium Gallery,The Pawtucket Arts Collaboration, and the RISD Museum. Maria's work is additionally being featured at Lola's Boutique in Providence and Green Label Boutique in Cumberland. In the future Maria would like her designs to be shown throughout the world and serve as an inspiration to others.